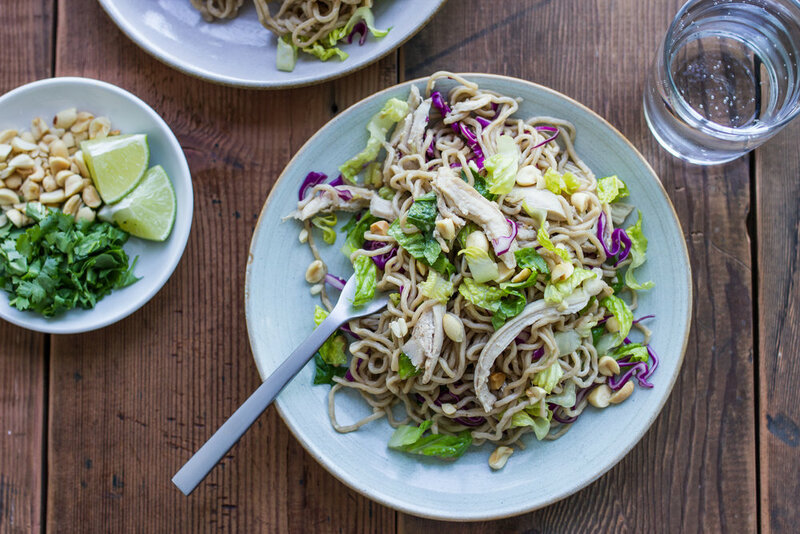 We know it’s hard to believe, but ramen noodles are not only for the cold months! In fact, their chewiness shines in salads, where you can tangle them up with crunchy vegetables and have a meal that tastes great even in the heat. 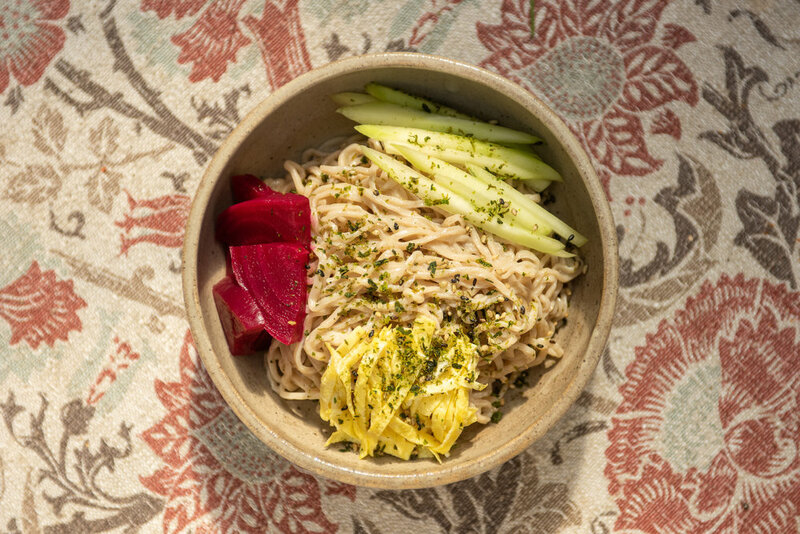 In Japan, there is a very popular ramen noodle salad with a creamy sesame dressing called Hiyashi Chukka — we have two version below that are both outstanding — and in Korea, a popular spicy cold noodle salad called Bibim Guksu — we have two version of that one too, so go wild! Our friend Yuri concocted an original dressing for hiyashi chukka, that classic Japanese summer cold noodle salad with delicate slices of egg omelet, cucumber, and tomato. Her recipe features a surprise ingredient: almond milk! Katherine Deumling was inspired by the herbs in her garden and her love of crunchy things. 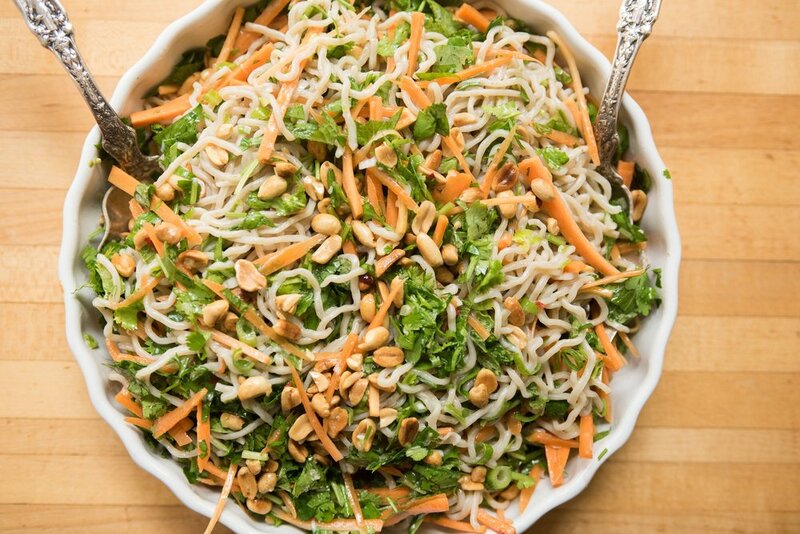 The earthy noodles play very nicely with the bright herbs and the rich, toasted nuts. It’s also delicious with an egg on top! 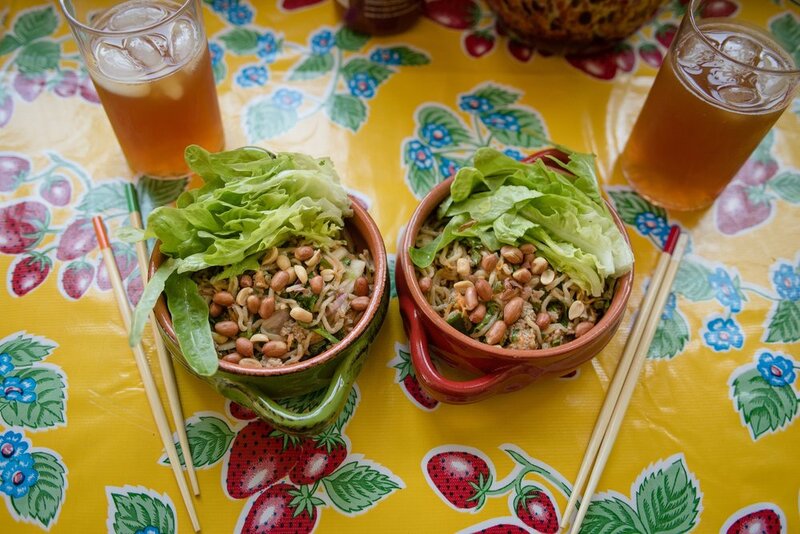 A spicy, crunchy, delicious summer salad recipe shared with us by our friend Kathleen Bauer. Whip together the dressing in a blender, top with kimchi and crunchy cucumber, and you have a standout meal! Few foods are better on a hot day than cold and spicy noodles. This dish is a heart-of-summer masterpiece. The sauce alone should always be in your fridge. It packs huge flavor. 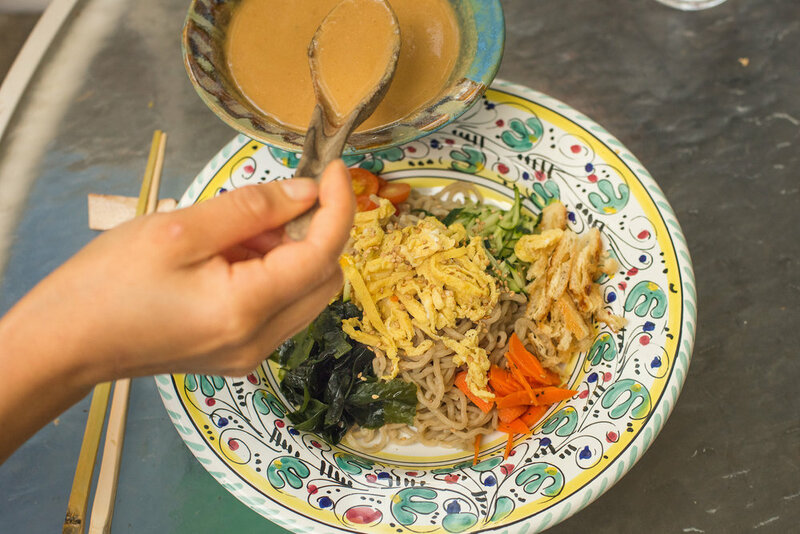 This sweet-sour-spicy cold Korean noodle dish is usually made with sweet potato noodles, but chewy Umi Organic ramen noodles are a serious upgrade. This 20-minute dish was inspired by the fried chicken salad at Basilisk in Portland, but it’s equally good (maybe even better!) as a vegetarian meal with fried tofu. Leave off the egg and it’s vegan. It’s fast, satisfying, and perfect for a hot day.